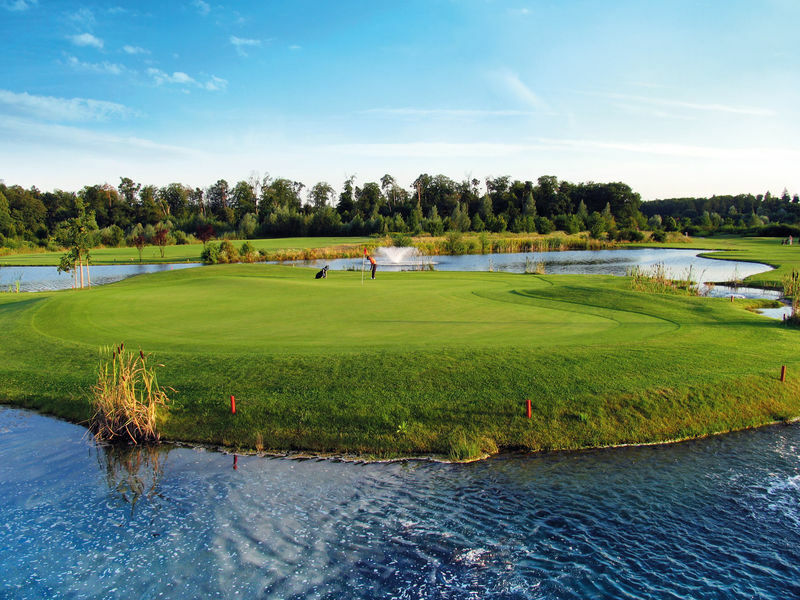 The golfclub Hofgut Scheibenhardt has 18 golf roads and an over 80 hectare well looked terrain. So it's a dream for every golf lover. The golf arrangement is stamped from immediately to name estate with palace and ditch in baroque style from 17th century. The former agriculturally used ground offers excellent requirements for an all year game operation because of its location in the Rhine valley. There is a practical area with driving-range, chipping- and puttinggreen for beginners. The well-sorted pro-shop and the restaurant specialized in Baden and Alsatian kitchen in the stylish old homestead walls complete the excellently neat golf arrangement. 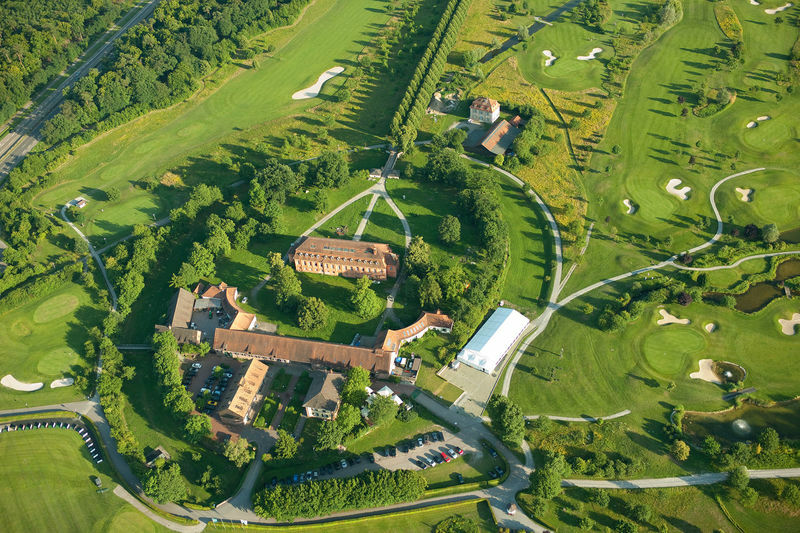 Guests are welcome on the golf arrangement Hofgut Scheibenhardt. You need a valid DGV-club card with registered handicap (Hcp -36 or better). The club is 5 km away from the centre of Karlsruhe and 3 km away from the motorway junction Karlsruhe Süd. More information about the golf arrangement you get here.